QuikDri Carpet Cleaning started with independent and driven minds focused on providing high-quality service in carpet cleaning, upholstery cleaning, pet odor removal, as well as tile and grout cleaning. We are a family-owned and operated business based on honesty and fair prices for residential and commercial customers. Our professionals value your time and schedule by being on time for our appointments. We have 15 years of experience in carpet and upholstery cleaning. QuikDri Carpet Cleaning is certified by the Institute of Inspection Cleaning and Restoration Certification (IICRC), so you can trust us to meet national standards of safety and health. 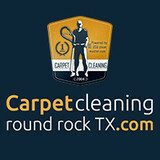 Carpet Cleaning Round Rock is an experienced carpet cleaning service provider specializing in carpet&rug cleaning, upholstery cleaning, water damage restoration, mold&stain removal, hardwood floor refinishing and others. We find the optimal solution even for the most difficult cases. New protective methods of cleaning, high quality job, reasonable prices, convenient ways of payment. Everything is just for you! Call us right now for free estimation, special offer and detailed information concerning our services. Are you looking to get the dirty carpets and upholstery in your home & office professionally cleaned? We will be happy to provide you with such service at a reasonable price. Professional technicians and new protective steam cleaning methods will deliver a great result. We also offer water damage restoration, odor control, wood floor refinishing & refurbishing, etc. Call us for more details. Carpet cleaning service provider for all residential, commercial and industrial requirements throughout Austin, TX metro and its nearby cities - satisfaction guaranteed! Professional upholstery and furniture cleaning services in Austin,TX. Call us today and we'll remove every stain and completely deodorize your furniture. Satisfaction guaranteed! 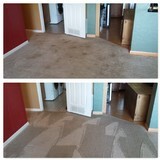 Austin Carpet Repair & Cleaning services Austin and the surrounding area. We clean, stretch, repair, fix burns, seams, stains, and carpet to tile wood transitions. 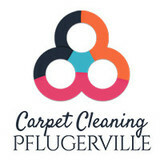 Danny and Alena Morris, owners of Prestige Carpet Cleaning & Floor Care, are bringing high-quality Carpet, Tile and Grout and Upholstery Cleaning to the Hill Country and San Antonio. Their main focus has always been customer service. Prestige is an experienced company offering a new level of Customer Satisfaction in flooring maintenance to the residential and commercial markets. Prestige was born in the Dallas / Fort Worth area in 2002. After the birth to their daughter, Anna, Alena and Danny knew it was time to start their own company and move to Boerne. That was where they could enjoy the beautiful Texas Hill Country and be closer to family. Danny’s father, Dave of Dave Morris Planning & Design, and mother, Dee, had been Boerne residents for over 20 years. Our goal is to provide the best organic carpet cleaning in Austin, TX, ever and we back that up with our 30 Day Clean Carpet Guarantee. That may sound like just another catchy guarantee but let me explain exactly what it means for you. DynaClean Killeen TX is a professional, full-service carpet cleaning, floor, fabric care company serving the greater central Texas areas including Killeen TX and surrounding areas. 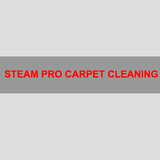 Carpet Cleaning Jollyville provides professional cleaning services. Within our variety of services, there are carpet, rug, upholstery, and air duct cleaning, water damage restoration, mold remediation, etc. Our quality is proved by time, many satisfied users, up-to-date cleaning methods. Just give us a call, and our experts will be glad to help you over the phone. If you have carpeting in your home you know how hard it can be to keep clean. 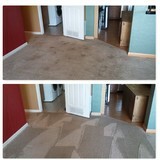 Your stubborn stains and everyday dirt are no match for professional carpet cleaning services in Jonestown, TX though. The powerful tools that Jonestown carpet cleaners have are designed to not only clean carpets and upholstery, but restore them as well. This, coupled with their expertise of materials and textiles, makes carpet and upholstery cleaning professionals in Jonestown, TX well worth the expense. What should I look for in a local Jonestown carpet cleaner? Not all Jonestown carpet cleaning companies use the same methods, but there are a few common things that they should do to for a quality job. Make sure they do an analysis on the area you need cleaned and recommend the best course of action — are there large stains or high-traffic areas that need extra treatment or attention? Also, make sure they provide quick drying times so that you can be back in your home faster; that means hours, not days! A good carpet cleaning service in Jonestown, TX should move furniture (within reason) and put it back in place when they are all done; don't let them charge extra to do this. Another important factor to look out for is whether or not the carpet cleaners use chemicals, and if so, they should be asthma- and allergy-friendly. This is especially important for households that have children or pets. Lots of Jonestown carpet cleaning services also clean rugs. Rug cleaning can involve anything from a simple wash to complete re-weaving or foundation work. Make sure the local rug cleaner you choose has experience with the types of rugs you need serviced, especially if they are hand-woven or Oriental rugs. What should I look for in a local Jonestown upholstery cleaner? Upholstery comes in many more varieties than carpet and rugs, thus needs cleaning tailored to each specific blend. Even if you don’t know what material your sofa or chair is made with, a good upholstery cleaning service in Jonestown, TX will be able to identify it and treat it appropriately. Some textiles require dry cleaning and that can’t be done in home, so if that’s the case, check with the upholstery cleaner and see if they offer pickup and drop off services. Leather cleaning is a bit different and often involves more restoration and conditioning than actual cleaning. Make sure the Jonestown furniture cleaning service specializes in leather if you are considering them for the job. Find Jonestown upholstery and carpet cleaning services on Houzz. Narrow your search in the Professionals section of the website to local carpet cleaners in Jonestown, TX and read reviews and ratings to find one that fits your needs.